2017 Great North American Eclipse Map. GE = Greatest Eclipse: Moon’s shadow center is closest to center of Earth. 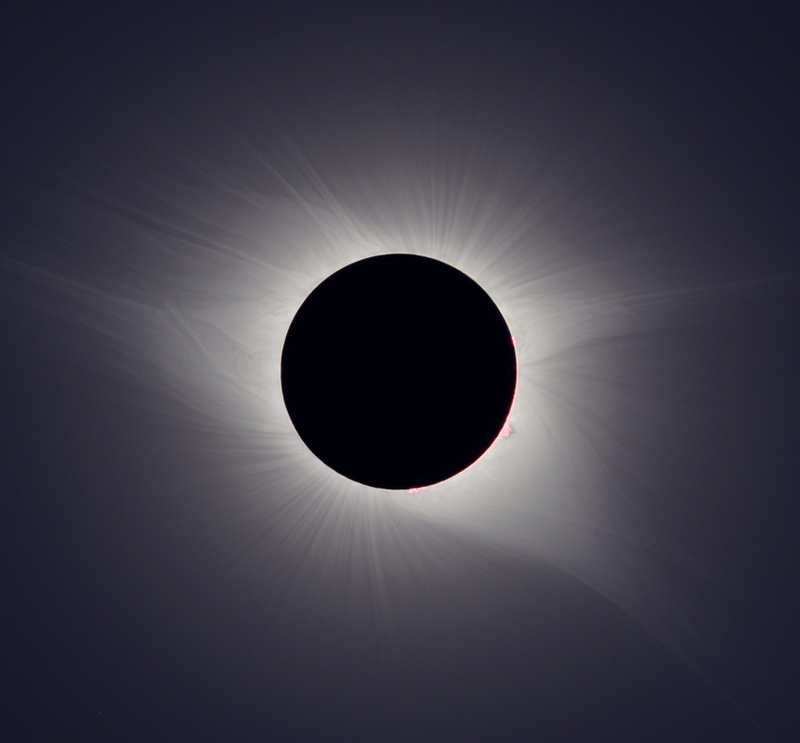 GD = Greatest Duration: the longest totality. With a few hours to spare before dinner, we decided to visit the SCSM (South Carolina State Museum) which was an incredibly lucky find. 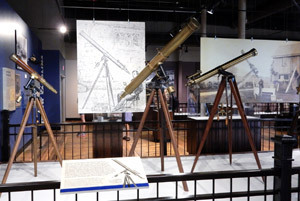 Aside from a great planetarium, and large domed observatory (housing a 12-3/8” Alvan Clark refractor), I was stunned to see a 6,000- sq ft PERMANENT telescope exhibit filled with historic Alvan Clark, Dolland and Zeiss refractors (donated by amateur astronomer Robert B. Ariail), — the largest and finest exhibit of its type I’ve ever seen! — and that was just the start of a stunning personal experience: I casually joined a group of Girl Scouts on a lecture tour of the exhibits, after which I decided to converse with the lecture guide about the museum. When I told him my name, the guide (who was the museum’s director of education, Tom Falvey), said “OMG, we have several Nagler eyepieces! 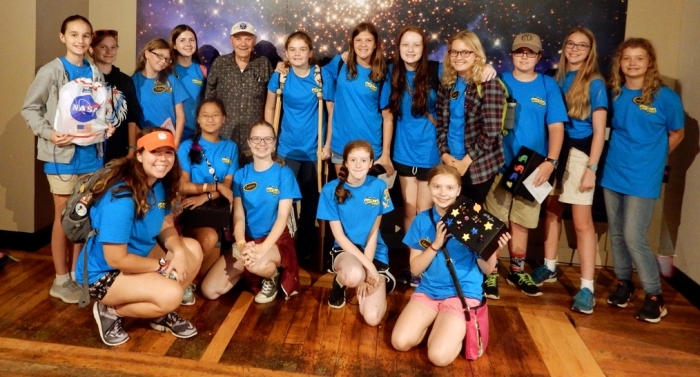 You HAVE to give a short talk to the Girl Scouts about your career.” (The group consisted of one Girl Scout selected from EVERY state to see the eclipse, tour the museum, and meet astronaut Charlie Duke on eclipse day, as part of a large public viewing party co-sponsored by NASA and JPL). Al Nagler with Girl Scouts at SCSM. 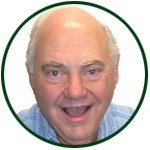 When the Girl Scouts swarmed over me to autograph their notebooks, teary-eyed, I obliged with “Al Nagler 10715” (Google it). Signatures on Tom Falvey “Celebrity Jacket”. 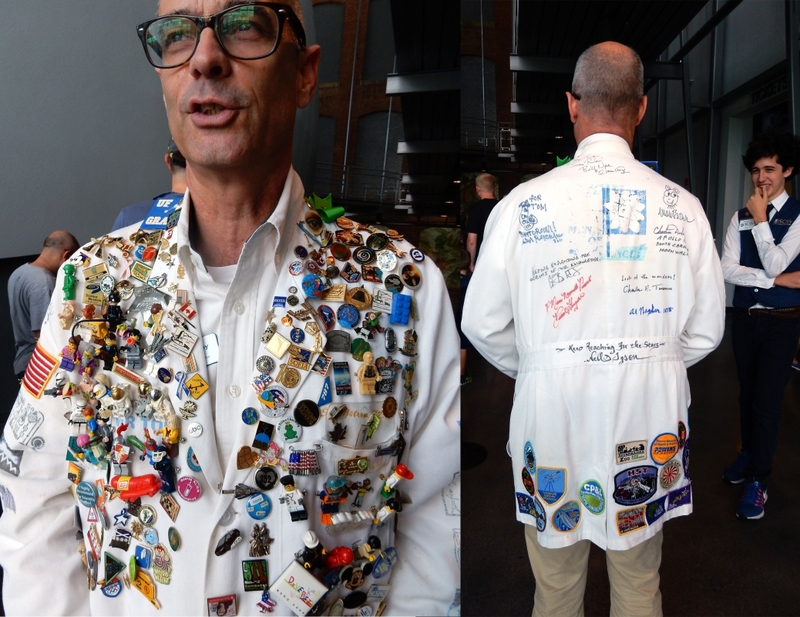 I then toured the special Charles Duke exhibit room, and met with Tom Falvey to autograph his “celebrity jacket” — honored to sign it near Neil deGrasse Tyson’s autograph :-). 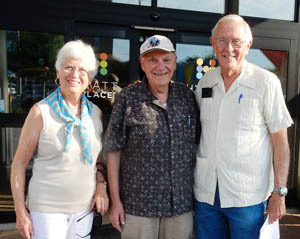 Al Nagler with Charlie and Dottie Duke. Well, what could be more fun so far for me? Yes, there’s more! Tom happily consented to my joining him as we drove to pick up Charlie Duke and his wife Dottie to drop them off at their hotel. (I knew I would not have time to see him on eclipse day). What a charming, gracious couple! Duke even admitted that the LEM visual simulator optics I designed 50-years ago worked nicely :-). Is it possible to top a day like that, I thought? Possibly, if all the predictions of clouds and rain for tomorrow’s eclipse were wrong! 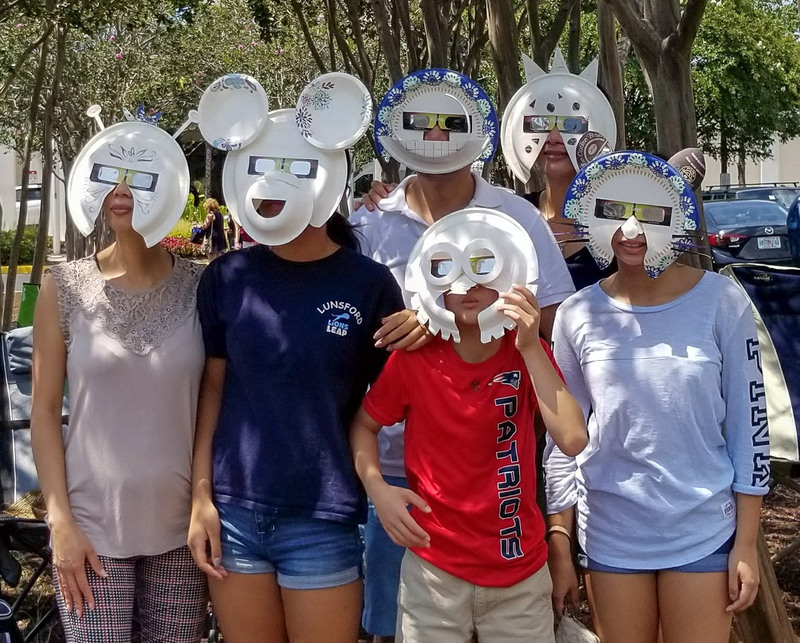 Left: A family decorated their eclipse glasses. Right: Al’s low-cost solar filter for camera made with paper cup and paper solar glasses. Monday morning, I set up and checked out the Tele Vue-NP101 I brought along with a white light filter, Hydrogen-α DayStar set up, and my Nikon Coolpix pocket camera, for which I developed a low-cost filter — see image :-). Dodging clouds until first contact, I was ready. 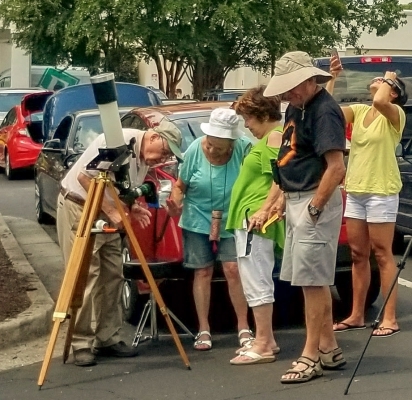 Then, while all the clouds magically disappeared (unfortunately friends just 20- and 50-miles away were not as lucky) crowds appeared in the parking lot to share the wonder of totality. 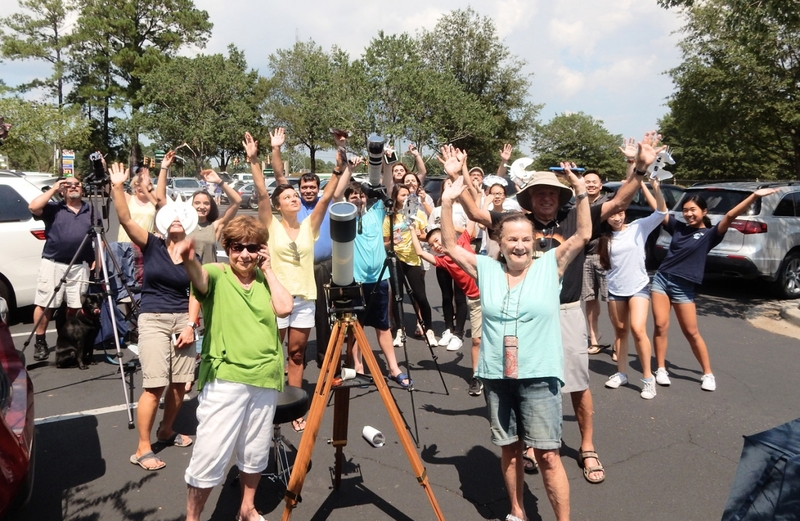 Judi, Gail, Matt, and many fun families, shared the entire experience, especially totality, through my NP-101 with 17mm Ethos — giving 32x over a 3+-degree field. Images made through TV-NP101 with Tele Vue FoneMate smartphone adapter attached to eyepiece. Al gets the crowd to wave at the end of totality. Al’s TV-NP101 with Hydrogen-alpha Solar Filter. Seeing the gorgeous flaring corona around an absolutely black solar disc, with lovely pink prominences peeking around the edges, AND Regulus sparkling near the edge of the 100° (Apparent Field of View) eyepiece field, was indeed visual magic. While that memory can’t be erased, I’m glad to share the closest rival I’ve seen, the picture Sean Walker, Equipment Editor of Sky & Telescope, took with his 70mm Tele Vue Pronto with field flattener from Glendo, Wyoming — with his Canon 70D — for this 7-image composite. Tele Vue Pronto composite image of the eclipse. Copyright Sean Walker. Used by permission. Left: Dr. Bruns’ postcard from Casper, WY. Right: Sean Walker with Tele Vue Pronto in Glendo, WY. Image by Peter Tyson. 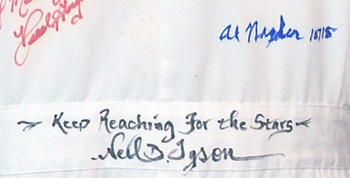 Coming home and sharing eclipse images and experiences with David, Sandy, and Peter, and all my friends and relatives was indeed wonderful, but could anything top getting this postcard from Don Bruns, who has been working for 2-years for the chance to achieve 10x the accuracy of the 1919 Eclipse experiment that confirmed Einstein’s Relativity theory? See blog headline’s from March 21, 2017 “Tele Vue NP101is to Test Einstein’s General Relativity” and June 28, 2017 “Tele Vue TV-NP101is Relativity Experiment Update“. Stay tuned for Don’s final report. 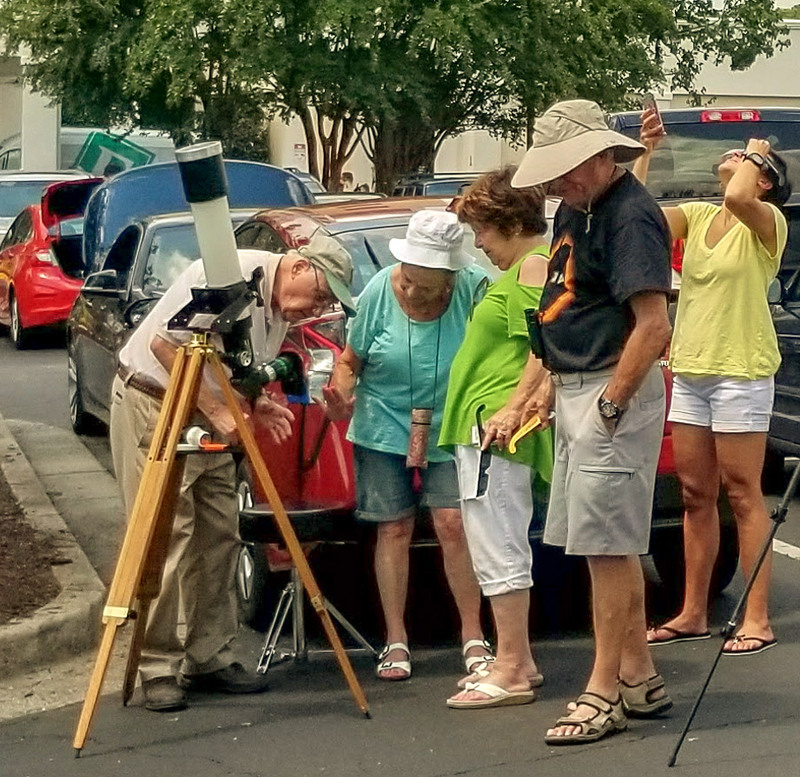 These and more images from Al’s SC totality in a flickr album. Tele Vue NP101is scope (mobile site). 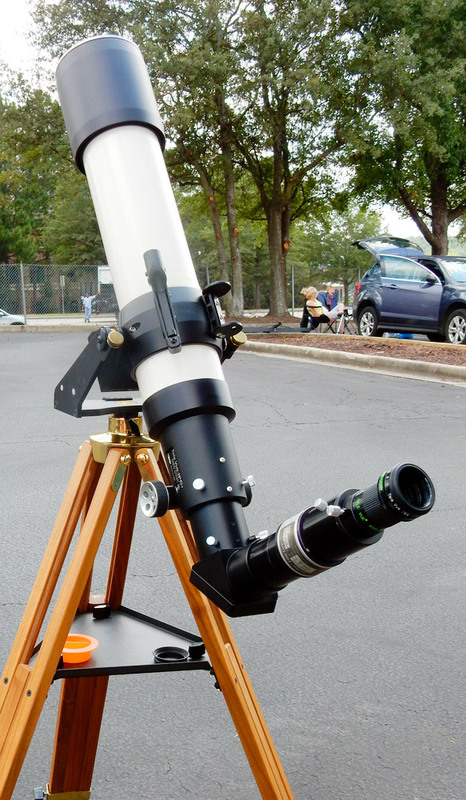 Note that the visual performance of the current TeleVue-NP101is is identical to that of Al’s Tele Vue-NP101. Tele Vue Ethos eyepieces (mobile site). Tele Vue FoneMate smartphone to Tele Vue eyepiece adapter (mobile site). Peter’s Totality in Tellico Plains, TN with Tele Vue TV-85 (8/30/17) blog post. 2017 Eclipse images made with Tele Vue producs on our Instagram account from us and friends. 2017 Eclipse images with Tele Vue products on Twitter. Our blog post Winter Star Party 2017: in the Eye of “Kermitis” reveals Al’s involvement with the LEM simulator that Charlie Duke used. There is also a blog post on TV news coverage of the LEM simulator restoration. Next Next post: 10-Years of Ethos SALE!